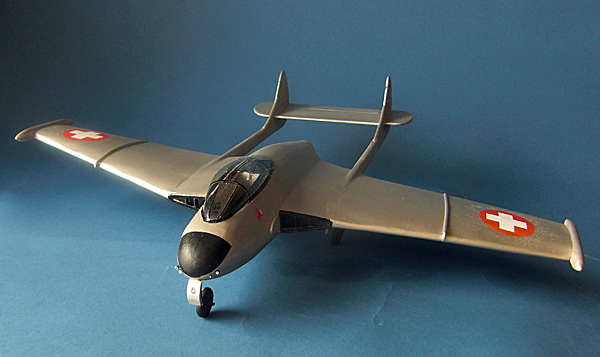 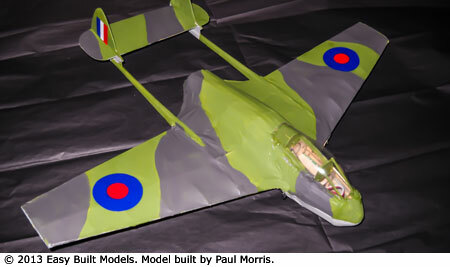 The de Havilland D.H. 112 Venom is a 1:28 built up scale model jet. 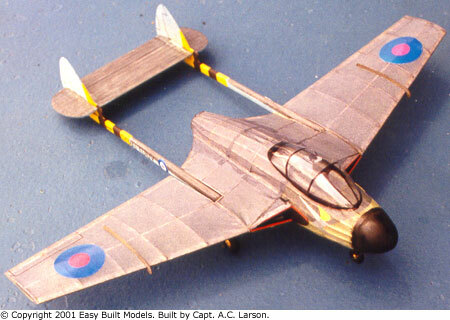 The Venom was the standard RAF ground attack fighter. 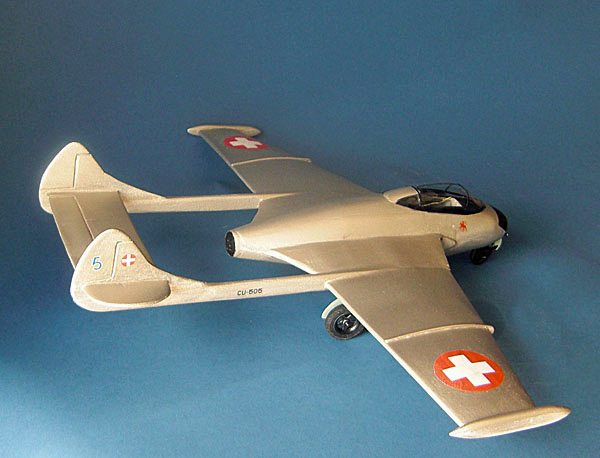 It gave remarkable service, and operating from airfields in mountain valleys up to 4500 ft above sea level, the aircraft's maneuverability proved a great asset. 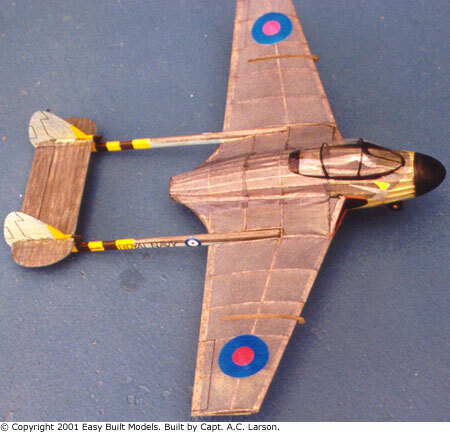 In 1954 the Royal Navy introduced an all-weather version called the Sea Venom. 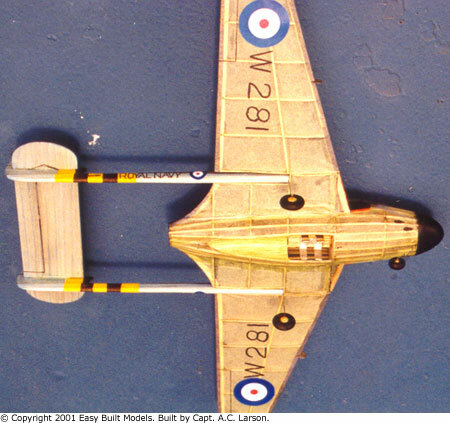 This kit includes a full-size rolled plan, building instructions, hand sorted printed balsa and balsa strip wood, vacuum-molded canopy, wire, TissueCal™ markings, and Easy Built Lite tissue in dark gray, olive green, and light sky blue. 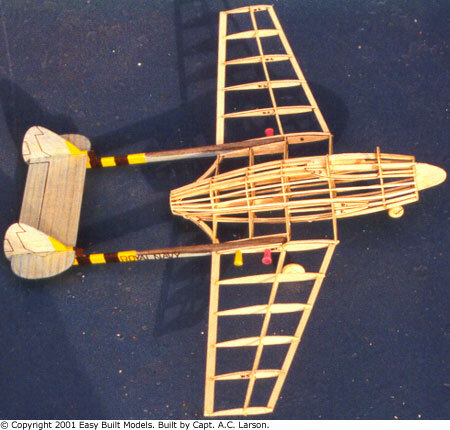 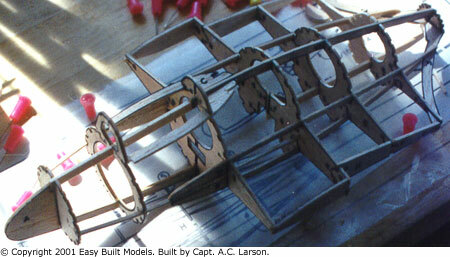 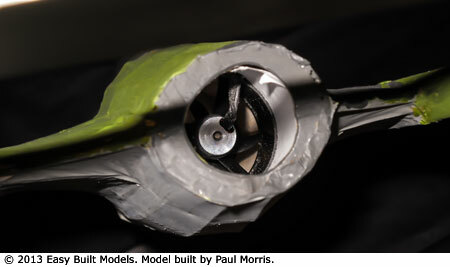 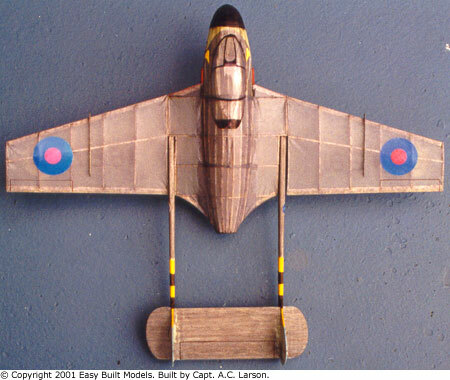 To build this model you will need a building board, hobby knife, fine sandpaper, glue and catapult rubber. 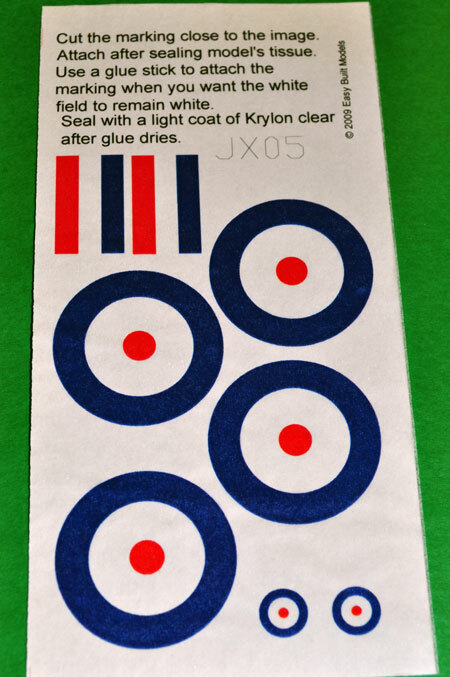 Markings printed on white tissue.